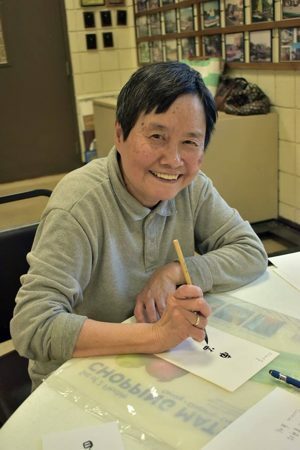 Learn American Mah Jongg - Michele Drabik will be available Wednesdays - May 1, 8 & 15 at 12:30 p.m.
Spring 2019 University Express classes. Senator Chris Jacobs is sponsoring a EPIC (Elderly Pharmaceutical Insurance Coverage) Program Information Session at the Golden Age Center on Friday, April 12th at 1:00 p.m. See flyer. 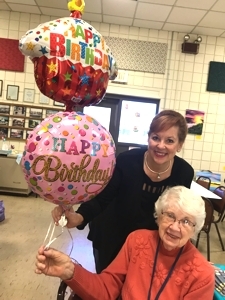 Betty Marinell celebrates 98th birthday. Councilwoman Bev Kinney also has a birthday in March. 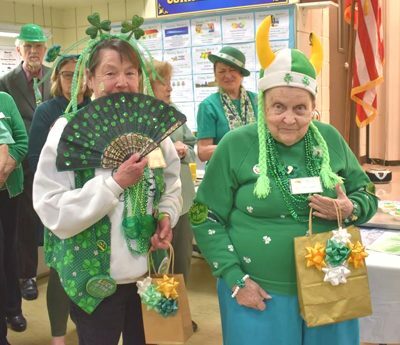 Betty Marinell celebrated her 98th birthday at the Golden Age Center on Tuesday, March 26th. 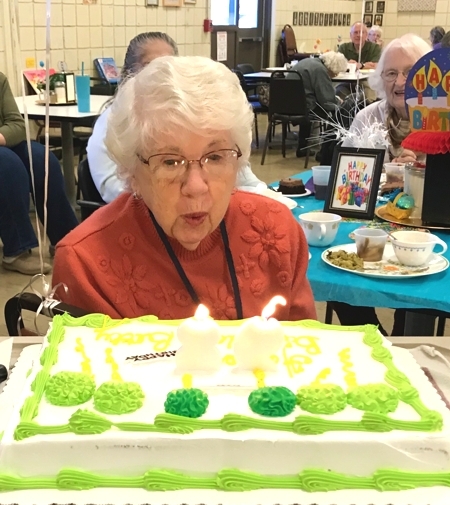 She celebrated with her friends over gourmet Macaroni and Cheese, with a decadent homemade Chocolate Cake with homemade Chocolate frosting (her favorite), lovingly made by the Barry, Denise, Sue and Victoria from the Golden Age Center kitchen. 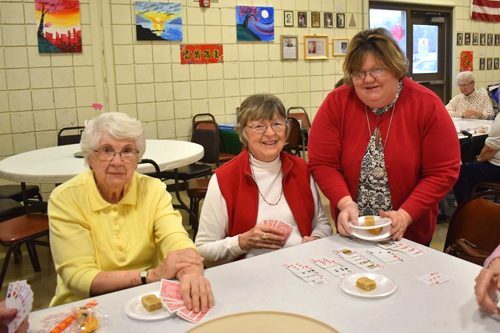 She finished her day having a blast playing Bingo Bonanza games with 26 of her friends! The Golden Age Club Nashville Show Trip takes place on October 7 - 12, 2019. It is a motorcoach tour and includes five nights lodging. Register by Friday, April 12th. See flyer for all details. Kathy Menter and Kathy Lechner. It was a tie between Patti Phillips - left - and Ruth Landel - right - for the special prize. 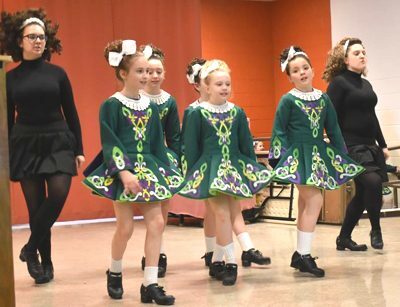 Clann na Cara Irish Dance group. 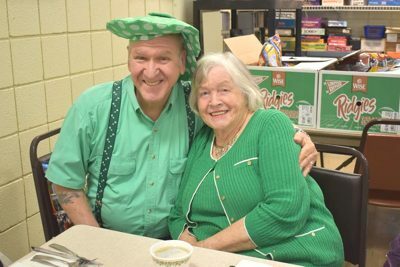 St. Day was celebrated at the Grand Island Senior Center on Thursday, March 14th with the traditional corned beef and cabbage dinner prepared by chef Barry Conway and his kitchen staff. 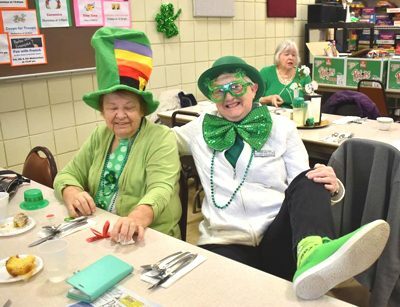 Many GAC members came decked out in green, with the most festively dressed winning a special prize. After the dinner everyone enjoyed entertainment by Clann na Cara Irish Dance putting on a Irish Step Dancing program. 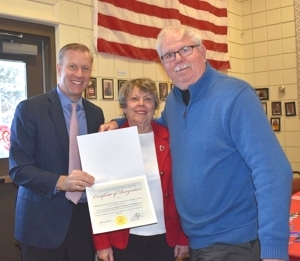 Left: State Senator Chris Jacobs with Joanne and Bob Gesl, married 53 years. 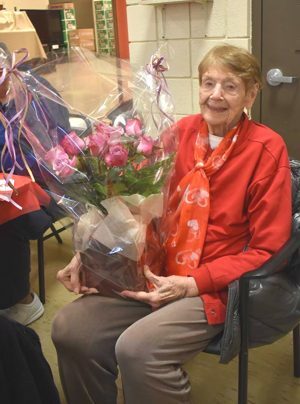 Right: Shirley Martin with flowers given her for her 93rd birthday. From left: Sue and Ray Whitbeck, married 66 years and Ann and Dave Rogers, married 54 years. Nancy and Chick Toby, married 52 years, with Chris Jacobs. Story & Photos by Mary Stewart. Valentines Day - a day when love blooms, sweethearts share a little extra love with flowers, candy or maybe a special night out. 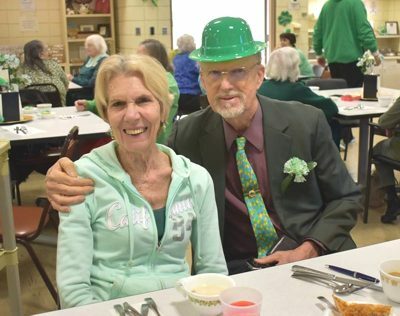 The Grand Senior Center honored those members who have been married 50 years or more this year. There were seven couples celebrating. 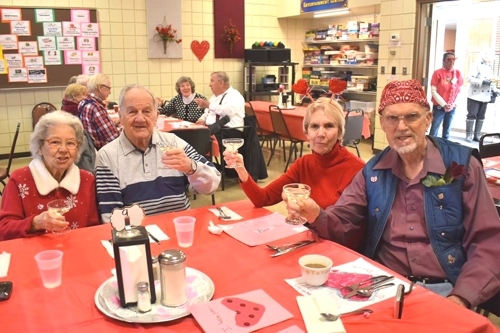 After a delicious Valentines luncheon special certificates were given to the couples by Chris Jacobs to celebrate these anniversaries. They also received a special certificate from the center. Those honored were Chuck and Nancy Tobe - 52 years; Bob and Joanne Gesl - 53 years; Buddy and Lynn Black, Dave and Ann Rogers - 54 years; Richard and Barbara Brzyski and Don and Evelyn Lewis - 56 years and the longest married Ray and Sue Whitbeck hitting 66 years. Shirley Martin celebrated her 93rd birthday at the special luncheon. 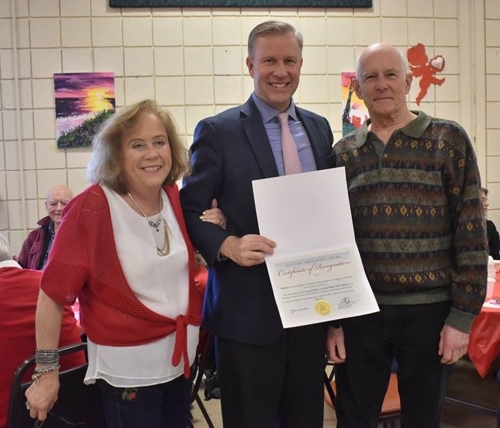 Grand Island's Senior Center celebrated the Chinese New Yea on Tuesday, February 5th with a stir fry lunch, and a talk by Cindy Lin. Cindy moved to the states from Tawain after graduating from college and is a member of the Golden Age Club. 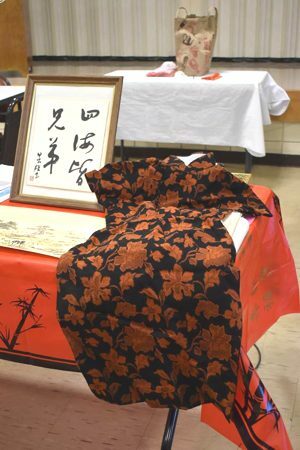 Cindy had several interesting items she brought from Tawain including artwork, books and a dress. She also wrote everyones name in Chinese on a card to take home. This year is the Year of the Pig. The pig is the representation of diligence, kindness and generosity. The AARP Foundation Tax-Aide is offering free in-person tax preparation to anyone of any age, especially if you are 50 or older or can't afford paid tax preparation. It will be available Wednesdays, February 6 through April 3rd at the Golden Age Center by appointment. Call 773-9682.